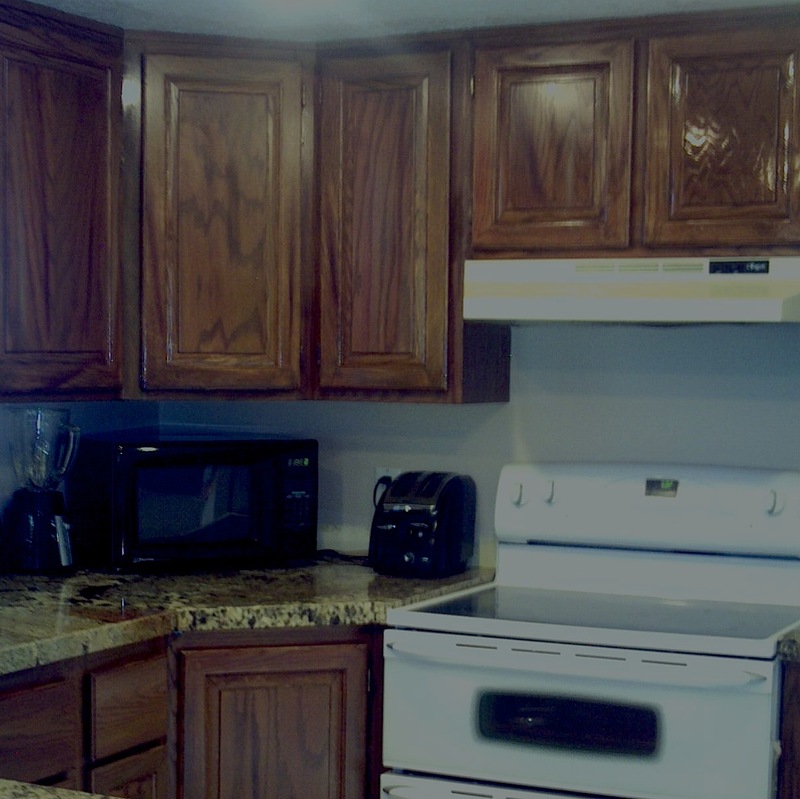 Oak cabinets refinished to an expresso color. 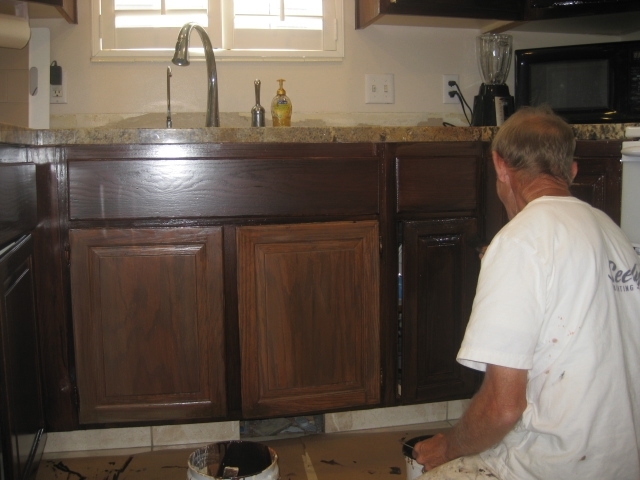 Several undercoats were used to cover the oak grain. 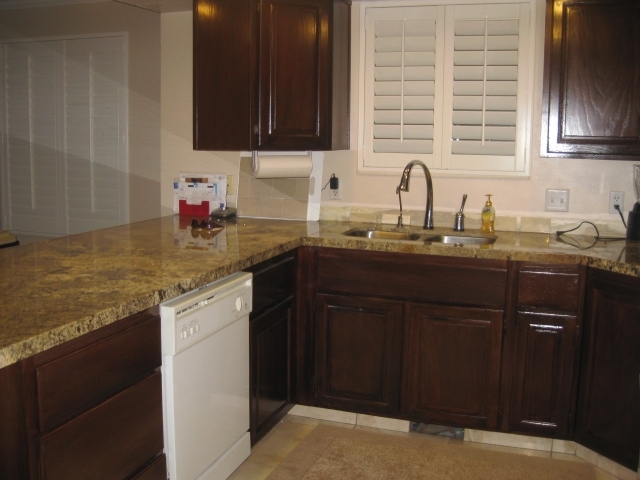 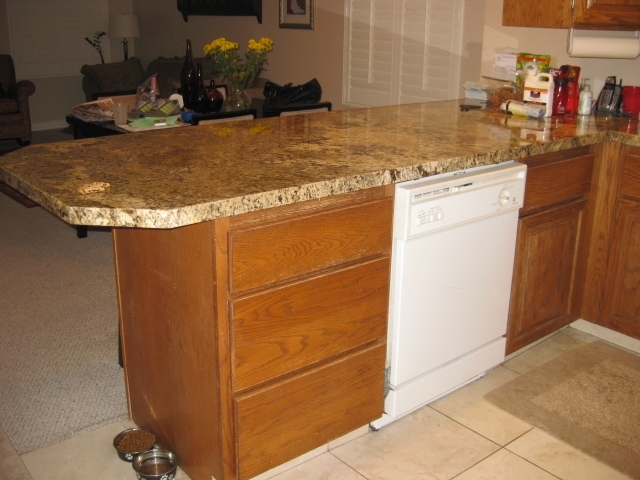 compliments the colors in the countertop. 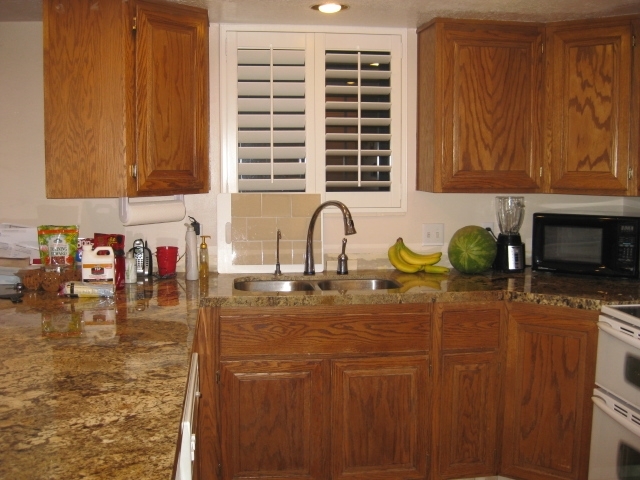 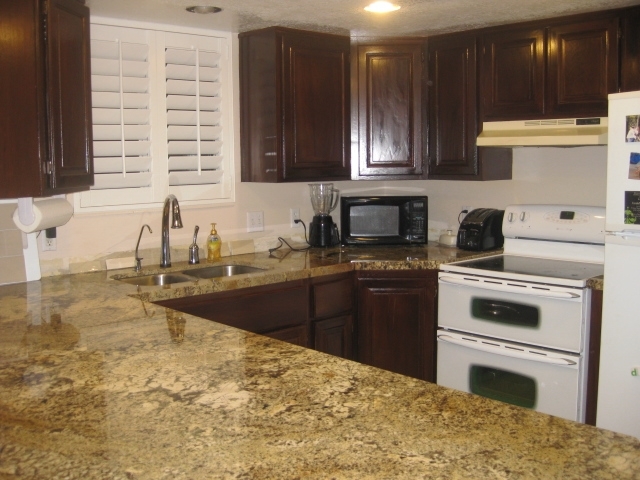 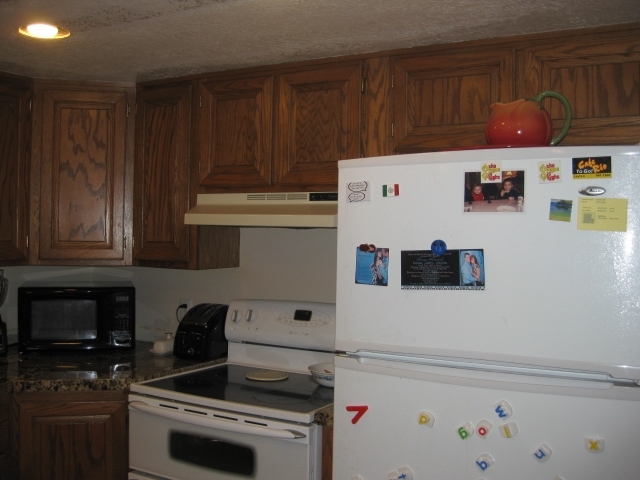 This kitchen is in Kaysville, Utah.